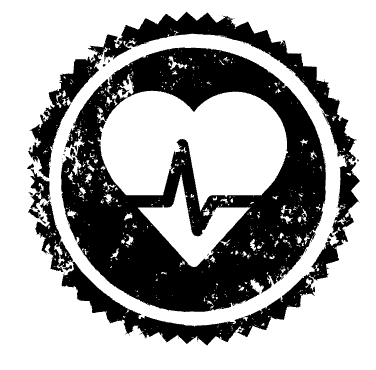 The Wellness and Wellbeing stamp category contains events such as those listed below. Below you’ll find information on some of the many events organized by Syracuse Madrid; however, if you’re interested in local gyms or other ways to be active and stay healthy, stop by the Student Life Office. 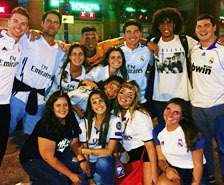 Syracuse Madrid offers funding to students who wish to organize pick-up games. Basketball and soccer courts are available at two local municipal sports complexes and can be reserved for student use upon request. 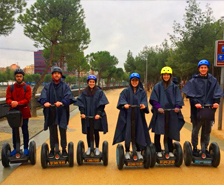 This tour is a pleasant and enjoyable way of exploring Madrid. Madrid Rio is the name of the newly redeveloped area of Madrid’s Manzanares river and host to Madrid’s “beach”! This project includes a long park, an urban beach, rowing lanes on the river, walks, bicycle paths, kiosks, cafés and restaurants, terraces, cultural and sports facilities and more! 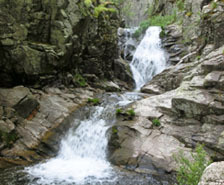 In the Lozoya Valley, located in the Guadarrama Range we will discover unique landscapes, walking trails and a incredible pine forest. We will get into calm walkways, peaceful streams, archaeological sites, centenary hermitages and villages with charm and hospitality. 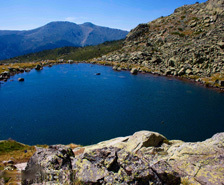 The lagoon Peñalara is the jewel of glaciation in the National Park of Peñalara. The beauty of this lake surrounded by stone walls and mountain pastures is our goal today. 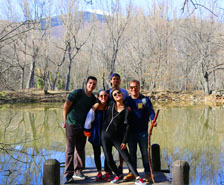 We will walk through forests and pastures with incredible views of the Sierra de Guadarrama. 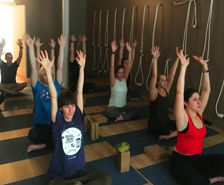 The word “yoga” comes from Sanskrit and means “to join” or “to yoke”. Yoga is an ancient art based on a harmonizing system of development for the body, mind, and spirit originated in ancient India.